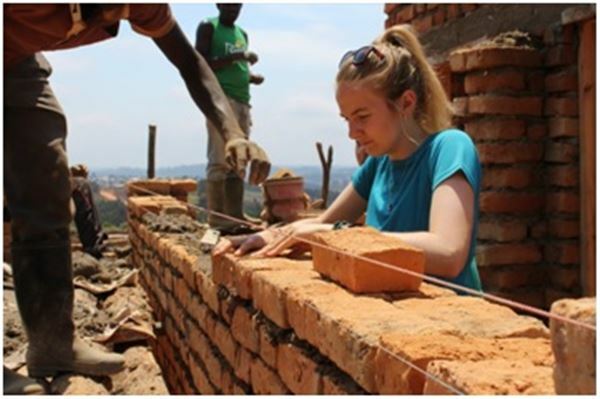 ‘I went to Tanzania on a water, sanitation and hygiene (WASH) project with Raleigh International, funded through the governments International Citizenship Service scheme. I lived and worked in a village called Iyembela, in the Njombe region of Southern Tanzania. The aim was to improve sanitation and hygiene in rural communities, where a lack of education surrounding basic issues - like hand washing - causes unnecessary illness and deaths regularly. While I was in Tanzania, I had several opportunities to improve my leadership skills, which has also helped me gain more self confidence. Each volunteer had the opportunity to be the weekly leader, an opportunity I really enjoyed. It gave me the chance to plan and organise our activities for the week, hold debriefs and overcome any difficulties the team had. Congratulations Sarah!! It was our pleasure to support your volunteering in Tanzania.